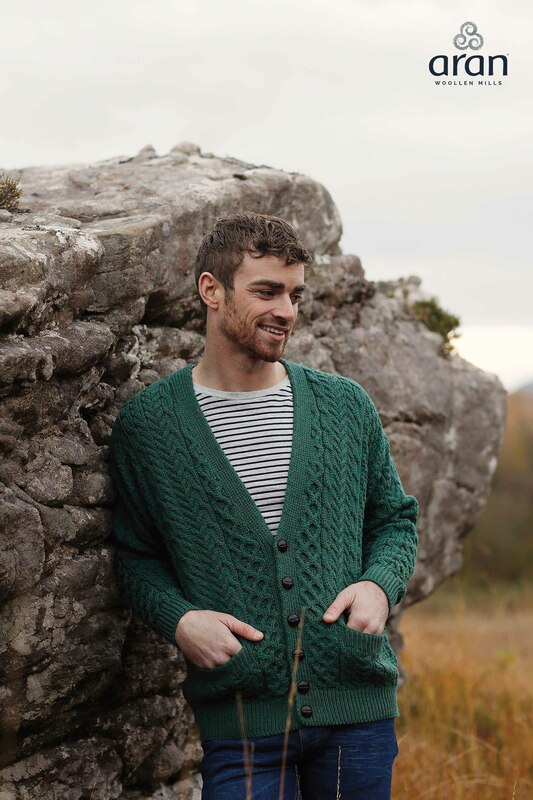 Distinctive Aran knitwear in a classic cardigan style. 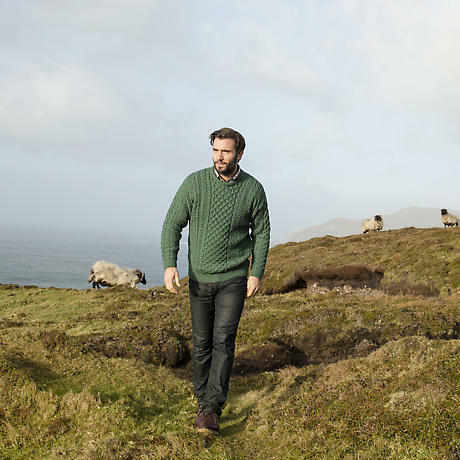 This comfortable, cozy Irish Wool Sweater is a traditional favorite. 100% Merino Wool made in Ireland by Aran Woolen Mills. Sizes L, XL, XXL.